Belgian health insurance is based on the system of mutual health insurance funds (ziekenfonds, mutuelle, mutualiteit). The basic rule is that you need to be registered with one of these funds if you want to be eligible for reimbursement of health expenses. For people who register as ‘economically non-active EU citizens’ (economisch niet-actieve Unieburger) i.e. an EU citizen without work, one of the conditions of registration will be a valid health insurance. However, there’s a Catch 22 there: you cannot register with the Belgian health insurance company until you have your residence card. Which in short means, do not cancel your health insurance in the country you are coming from quite yet. If you already have employment in Belgium, you do not need to wait until you’ve received your residence card – instead your employer can provide evidence that you will be working for them and this is enough to get the process started. Since it can easily take up to 3 months before you get all your papers in order, you should make sure you have some sort of health insurance in place if you are expecting high or regular medical costs in those first three months (chronic conditions, pregnancy …). You should also note that your insurance, once it is sorted out, will be backdated to the date of application and you will be able to request a reimbursement from your insurance company. However, in most cases you will need to pay for medical treatments upfront. This does not apply to urgent medical care or hospital treatments (for which you will receive the invoice a few weeks after the treatment). During those first three months, EU-citizens can use their European Health Insurance Card, issued by their previous country of residence, to prove insurance coverage in hospitals. However, they will still need to pay at the doctor’s office and request a reimbursement afterwards. Once your residence status is in order, your electronic Belgian residence card (known also as A/B/C/D/E-card, depending on your nationality) will function as proof of your health insurance. 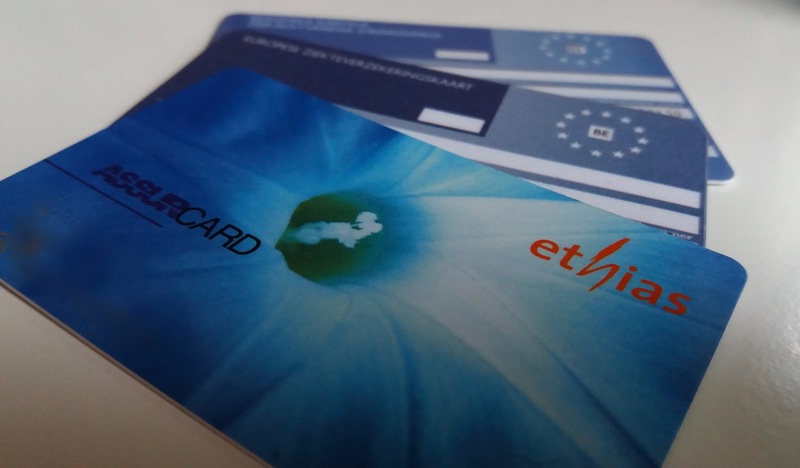 You will also receive the Belgian version of the European Health Insurance Card, which entitles you to emergency health care while travelling in another EU country. In some cases, you might not be able to claim any costs back in the first six months. This waiting period applies to those who cannot prove they had valid health insurance before coming to Belgium, as they are considered to be insured for the first time in their life. The choice of the insurance company (ziekenfonds or mutualiteiten) for basic health insurance (ziekteverzekering) is completely yours. In Belgium, health insurance is organised around mutual health insurance companies that have traditionally been politically affiliated. That is why you will see names like the Christian mutual insurance fund (CM) or neutral mutual insurance fund. Most expats choose Partena, because of its strong focus on expats and a website in English. Other big companies are CM, Bond Moyson … You can also get health insurance from private insurers (such as DKV) or from Hulpkas voor Ziekte- en Invaliditeitsverzekering, which offers basic health insurance at moderate cost to those who do not want to deal with mutualities. People working in the public sector (government services and the national rail company) are affiliated with separate health insurance funds. Hospitalisation insurance (hospitalisatieverzekering) is insurance that covers costs related to any hospital treatment. This includes room charges, costs of attending doctors, operations etc. Even some outpatient treatments provided by doctors in a hospital can be covered by that. The choice of company for hospitalisation insurance might not be completely in your hands. Some companies for example offer this type of insurance to their employees as a non-taxable benefit. Additionally, you can choose from a variety of other extra insurances, like dental costs, excess costs for outpatient treatments etc. Hospitalisation and other types of health insurance are not offered only by the mutual insurance companies (ziekenfonds) but also by other insurance providers (including banks). Be aware that Belgian health insurance system is organised in such a way that you will need to regularly interact with your insurer. Not only to ask for a reimbursement, you will also need to get in touch with your insurer regarding any health-related issue that might affect your ability to work (e.g. being on sick leave, pregnancy). Health funds will also help you if you need assistance with long-term care or certain medical devices. You can be insured in your own right if you are employed, retired or self-employed. If you are a dependent (persoon ten laste) – a non-working family member of an employed/self-employed/retired person, including cohabiting partner – you will be insured by the health insurance that also insures the family member who supports you financially. Note: the information on this page is based on the information found on official government and local websites, and on the experience of the authors. While we have done our best to make sure it is accurate, rules and regulations change and each individual situation might be different, so it is always a good idea to check with appropriate authorities for the latest information. Consequently, the authors do not assume any responsibility or liability for any issues or damages stemming from the use of the information on this website.